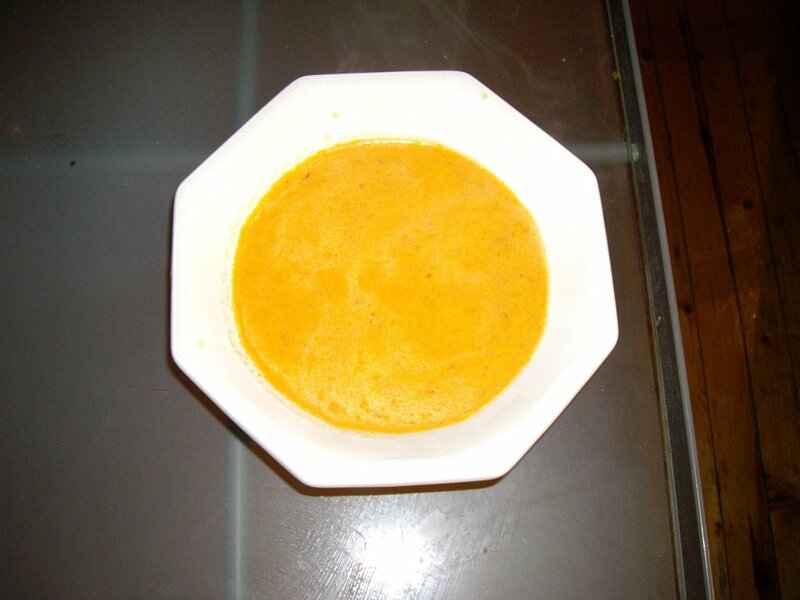 Todays soup is extremely easy to make and is very inexpensive. It will cost you around €3. The chorizo can also be substituted with chicken or sausage. Cut the chorizo into cubes. Fry them and allow to cool on some kitchen paper. Fry the peppers and the leeks until light brown. Then add water, sweet chili and stock-cube. Boil for 5 minutes. 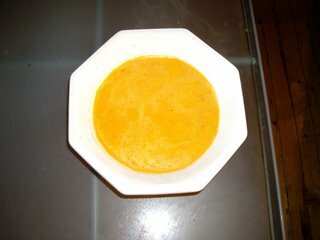 Then pour everything into the blender, add boiled rice and blend well until soup is completely smooth. Pour back into the pan. Then add cream and allow to boil for a few minutes. Add fried chorizo when serving. Serve with bread and a tablespoon of sour cream. Boiled rice may substitute plain flour or cornflour as a thickener. On Sunday I made a rizotto and I hade some leftover. Arboreo rice is very good to use in the soup as it is quite glutinous, but plain boiled rice may also be used.